I did some googling to find out what kind of games you can play to learn the alphabet, and there are so many you could play a different game every day of the year and never play the same one twice! Keep one worksheet whole and cut out the letters of its copy. Laminate the pieces and worksheet (if you want to). Give the kids the worksheet and hide the pieces around the house/a room/outside. 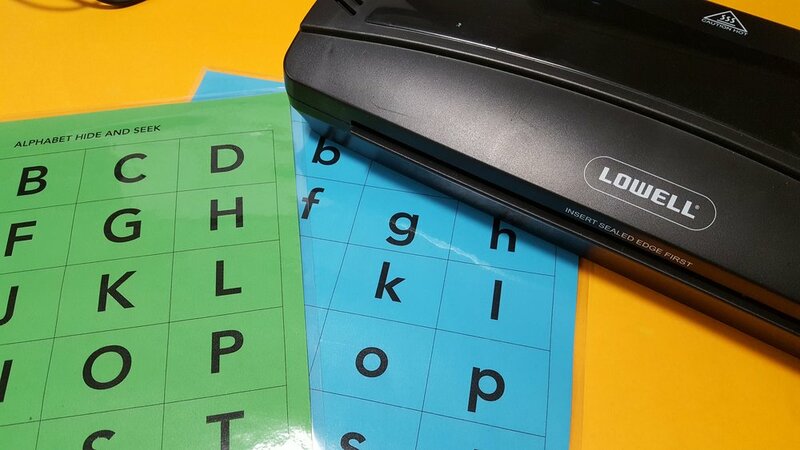 Get the kids to find one letter at a time and then come back and match it to worksheet. Make it more fun by adding a time limit. Make it even more fun by colour coding the worksheets and corresponding pieces and getting two (or more) kids to compete to finish their worksheet first. Little Miss Four loved this game. We still have a fair way to go before she can identify her letters, but we sure are going to have a lot of fun on the journey to learning them! Do you like to play learning games with your kids? I'd love to hear your favourites!